A holiday spent in foreign lands along with the loved ones is the key to unforgettable memories. Indian Holiday offers one such exclusive group tours to some of the most popular destinations in Europe. European Experiences is a well-planned itinerary of 11 days that takes you to wonderful destinations like Zurich, Paris, Brussels, Amsterdam, and London. Every city has its own marvelous architectural wonders, orgasmic food delights, rich culture, history and heritage, breathtaking landscapes and other memorable experiences. Visit the best of sights and sounds of Europe. Optional excursion to Mt. Jungfrau - Top of Europe (Zurich). 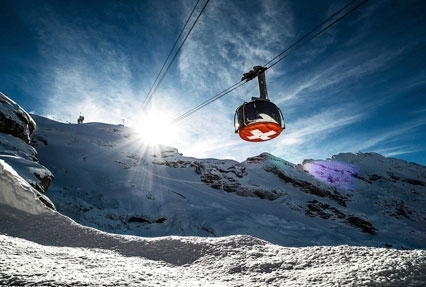 Ride in Titlis Rotairs, world's first rotating cable car ride (Zurich). Sightseeing in Paris including cruise on River Seine and Eiffel Tower. Optional excursion to Euro Disneyland. Mannekin Piss statue at Grand Palace, Brussels. City tour of Amsterdam including Cheese and clog farm. Visit to the royal Buckingham Palace, London. Arrive at Airport and take a shuttle transfer to reach your Hotel (on your own). The balance day is at leisure so that you can relax after your long haul flight. (Dinner). This day is at leisure. You can spend your day relaxing at your Hotel or choose an optional excursion to Mt. Jungfrau - Top of Europe. Group members not opting for Mt. 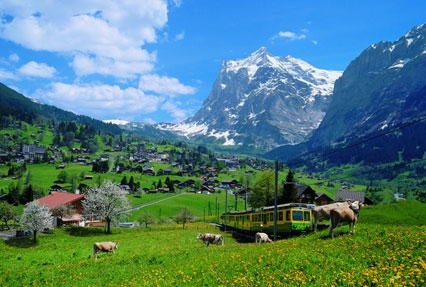 Jungfrau will have an opportunity to proceed to the city of Interlaken for an orientation tour. (Breakfast and Dinner). After breakfast, proceed for an extraordinary ride on world's first rotating cable car which is famous by the name of "Titlis Rotairs". Later, in the afternoon, proceed to the city of Lucerne to view the Lion Monument and Chapel Bridge - one of the oldest wooden bridge in the world. (Breakfast and Dinner). 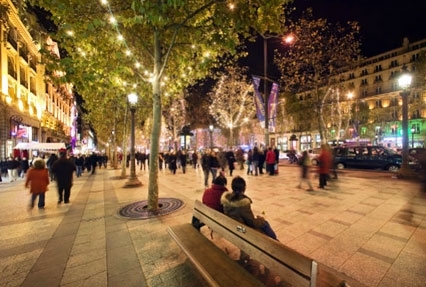 Check out and board your coach to drive to Paris, the city of lights well known for its fashion, perfumes, champagne and wines. (Breakfast and Dinner). This morning start you day with visit to popular sites like place de la concorde, Champs Elysees, Alexander Bridge, Concords Square concluding the tour at Eiffel Tower. Later enjoy a cruise on River Seine. (Breakfast and Dinner). This day is at leisure. You can spend your day relaxing at your Hotel or choose an optional excursion to Euro Disneyland (one day one park). (Breakfast and Dinner). Post Breakfast, proceed to capital city of Belgium. Upon arrival, proceed to Grand Place to witness the statue of Mannekin Piss. 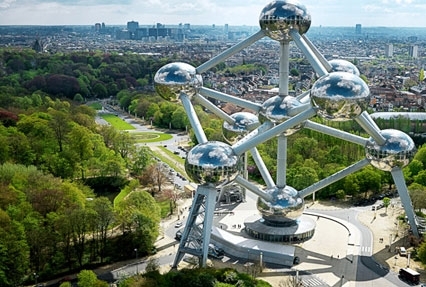 Visit City Square, St. Michel's Cathedral and enjoy a photo stop at Atomium. (Breakfast and Dinner). After Breakfast, we proceed to Amsterdam, the capital city of Netherland. Upon arrival, proceed for an Guided tour of Amsterdam including Dam Square, a visit to cheese and clog farm for the demonstration on the making process, followed by a photo stop opportunity of the Windmills. (Breakfast and Dinner). Check out. Board your coach and proceed to Hook of Holland for a short channel crossing to Harwich. On Arrival, we proceed to London for an overnight stay. (Breakfast and Dinner). After Breakfast, proceed for a guided city tour of London to see the main sights such as Buckingham Palace, Trafalgar Square, Big Ben, Westminster Abbey, Houses of Parliament, Tower Bridge concluding the tour at Madame Tussauds Wax Museum. Later Board the thrilling flight on London Eye for a spectacular bird's eye view of the England's capital followed by a visit to Swami Narayan Temple. (Breakfast and Dinner). Bid a farewell to your group. Take a shuttle transfer to the Airport (on your own). (Breakfast).